One of the largest buildings in Jacksonville, AL is the Houston Cole Library. 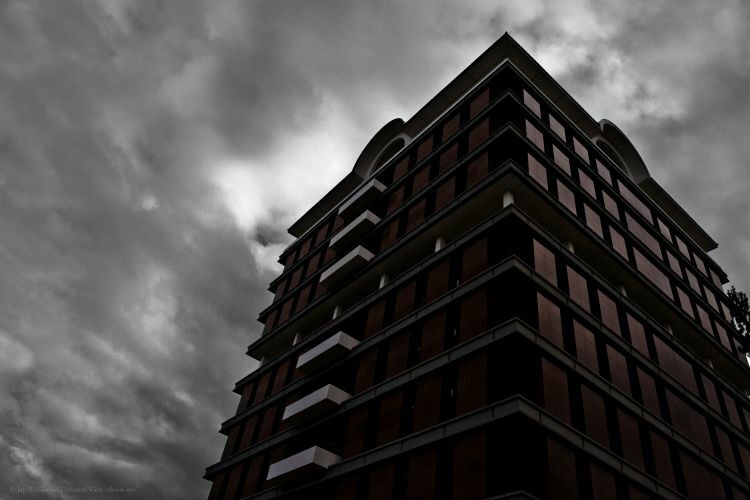 I was recently privileged to be able to take some photos of this building while the cloud cover was quite thick. And with a some tweaks in Lightroom, I was able to boost the contrast quite a bit. If you’d like to see the library, from a different vantage point, be sure to check out the photo entitled Overlook.